Camera Strap, nonslip, with Sony-type connectors. Petrol's camera strap is curved to contour to your shoulder and padded so even the heaviest load won't dig in. 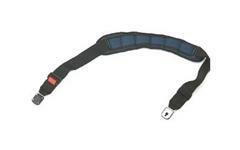 Petrol's camera strap is curved to contour to your shoulder and padded so even the heaviest load won't dig in.